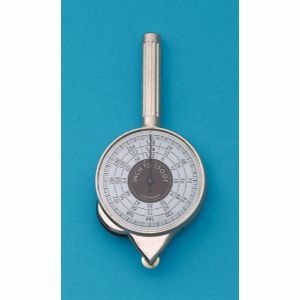 Drawing 2-Face Inch Counter with Handle: This Drawing & map measuring wheel has an easy to grip 1-1/2" fixed handle. This is a Map and drawing measuring Tool. Comes packed in a leatherette case. Includes Manufacturers Limited 90 Day Warranty. Shipping Weight: .190 lbs.